I was interviewing for a job in the New York City Mayor’s Office, having just finished graduate school with a degree in public affairs. Surprised that what had stood out most on my resume were my studies at Juilliard, I responded by explaining away those years of dedication and practice in favor of skills I considered more relevant to the job at hand. Many years and a career change later, I have a deeper appreciation for the value and relevance of instrumental music education. As founder and Executive Director of the Harmony Program, an organization that brings music-making into under-served New York City communities, I have seen hundreds of young people develop not only instrumental facility and music appreciation, but also a broad base of life skills that contribute to their long-term success – academically, socially, and professionally. Among the many skills and habits they strengthen through the study and performance of music, three of the most important involve applying persistence to efforts that do not come easily, working independently on self-improvement, and collaborating within groups of their peers. Most employers would agree that their strongest staff members are problem solvers. They are ambitious, show initiative, take on challenges and create a “culture of yes” with their positive attitudes and confidence. We all want employees with these character traits, but how do we find them? Rather than serving up worn out interview questions like, “Tell me about an obstacle you encountered and overcame,” we might look for a background in music. Musicians hone problem-solving skills every time they tackle an unfamiliar piece of music. They break the written work down into manageable pieces — by-line, measure or note — and practice until they have mastered it. This strategy of persistence and goal orientation can be applied effectively to any challenge, in any workplace. We all know that colleague – the one who polls her co-workers before making decisions, gets coached through her “to do” list and seeks direction on even the smallest tasks. Whether out of insecurity, inexperience or laziness, this employee is a distraction and takes a toll on everyone’s efficiency and productivity. When seeking a self-starter, open the door to any practice room at a music school or conservatory. Musicians log long hours of one-on-one time with their instruments because there is simply no other way to gain proficiency. No one can do it for them. Unlike the study of other subjects, they cannot borrow another student’s homework or copy an old exam, and there is no short-cut. Only through dedicated practice do musicians learn to refine their craft, critique their abilities and make continual micro-adjustments toward self-improvement. Team players listen to others and respond respectfully, share information and expertise, and take responsibility for failures as well as successes. They recognize that they are part of endeavors that are bigger than any single individual. Their skills are worth gold to employers who not only benefit from less redundancy, but also from the dynamic environment their behaviors cultivate. Making music in an ensemble is the perfect training ground for collaborators. Within an ensemble, each member’s voice is unique and valued. All members are fully engaged in the music-making process and trained to listen actively, adapt to changing circumstances and support each other — all in pursuit of a common purpose. Most importantly, ensemble musicians do not compete against each other; they succeed or fail as a group. While training is no guarantee of mastery, and I certainly do not suggest musicians are right for every job, the study of music does fortify many of the skills cited by researchers as employer “must haves,” in a variety of fields. Is it purely coincidence that over 70 percent of doctors have musical training? Or that people who own businesses or are granted patents are up to eight times more likely than the general public to have participated in musical activities? At the pinnacle of every field are leaders who play musical instruments. Indeed, the following list of super-achievers, all at the top of their respective areas of the enterprise, have one important thing in common — the study of instrumental music. Antonin Scalia, former (Supreme Court Justice, (piano). These are just some of the high-profile individuals who have parlayed their musical training into rewarding careers in other areas. Many others may not even realize how well their music lessons have prepared them for success. As a musician myself who took a different career path, I have learned from personal experience that musicians risk downplaying their assets while employers risk overlooking a potentially rich source of talent. 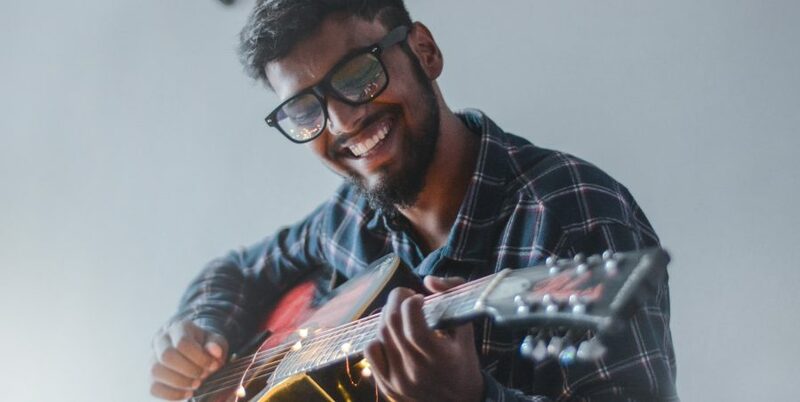 My tip for those who invest in expensive consultants, screening tools, and training programs in the quest for the ideal employee is to give some consideration to something less conventional perhaps, but no less promising: hiring a musician. About the author: Anne Fitzgibbon is the founder and executive director of the Harmony Program in New York City.